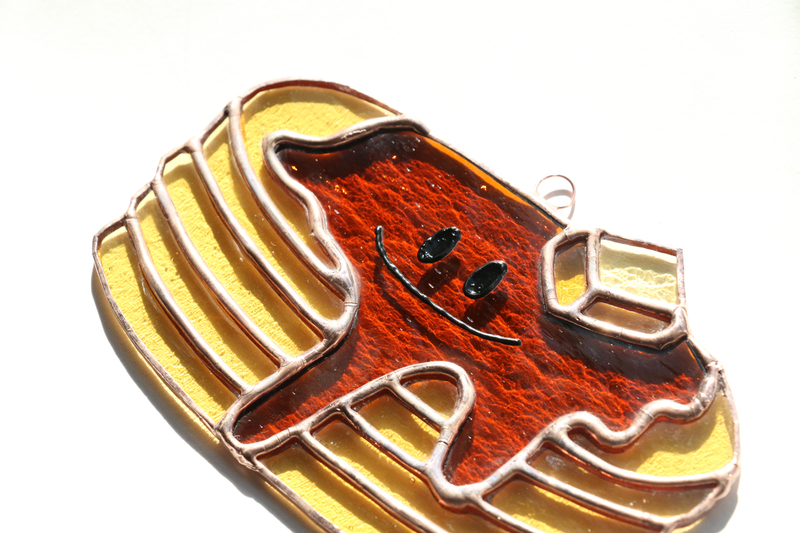 Meet Pancake Pete! 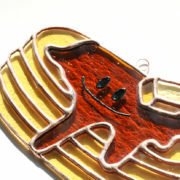 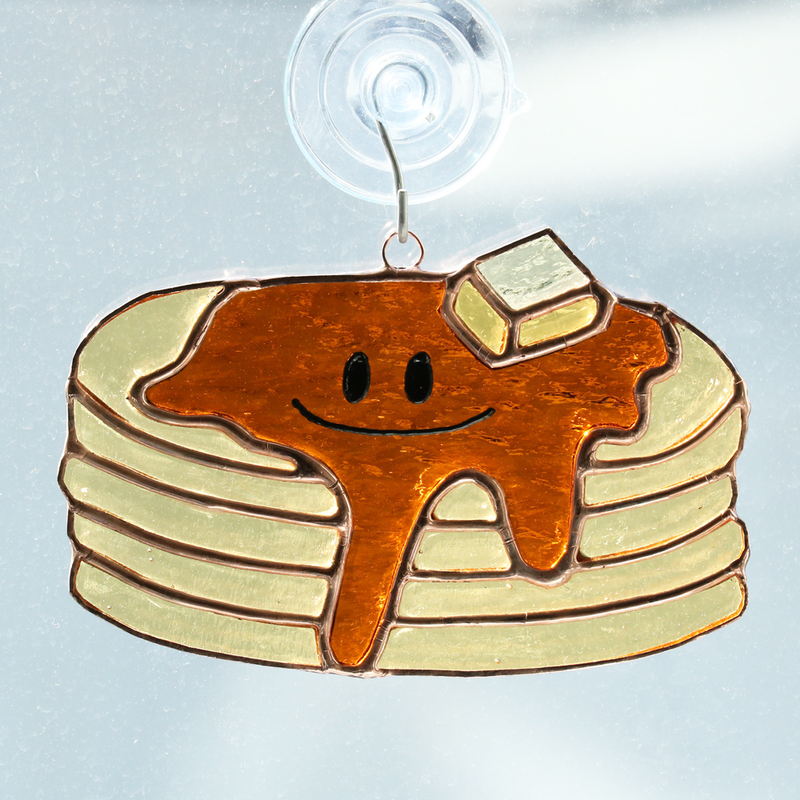 This handmade Pancake Sun catcher is great for any breakfast lover. Makes a great set when combined with any bacon or eggs sun catcher to make a full breakfast window display. 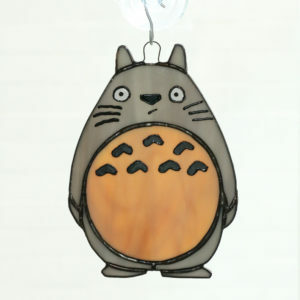 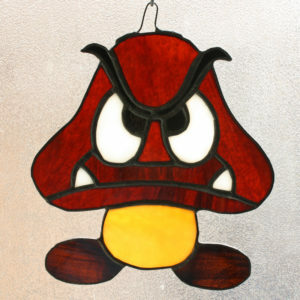 Sun catcher is 5″ x 2″. 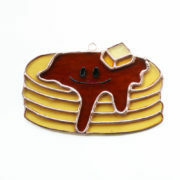 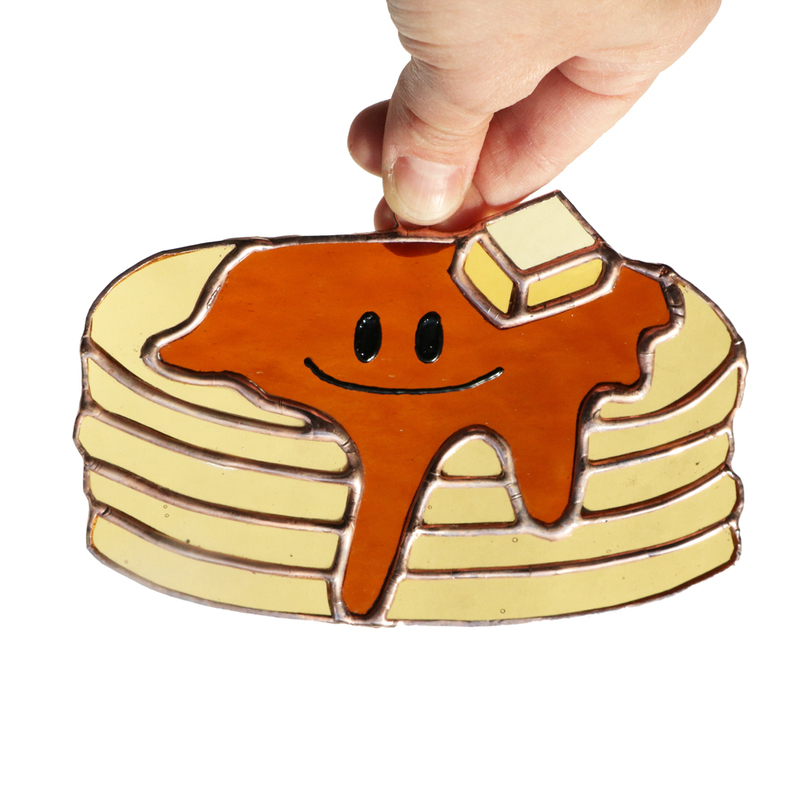 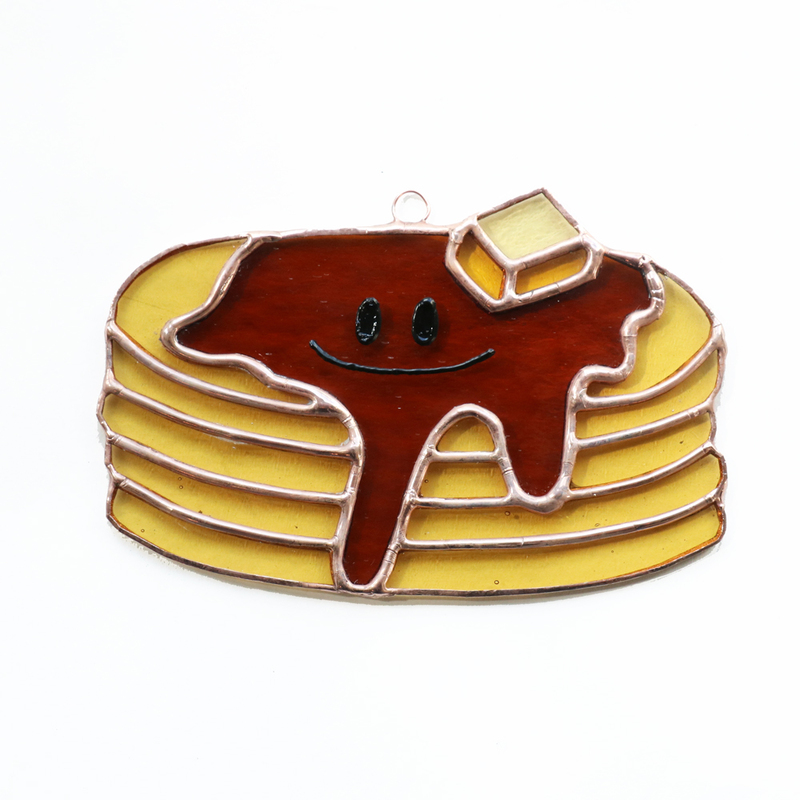 Pancakes are made of gold and light yellow glass and is finished with a copper solder. 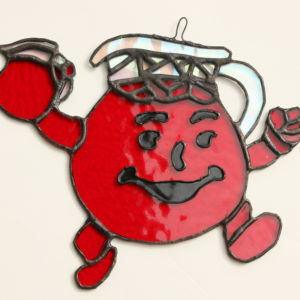 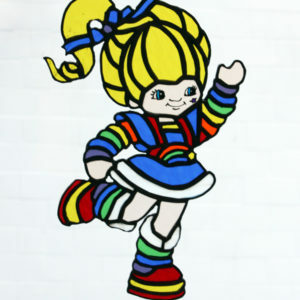 Face is painted on with glass paint.